Ms. Blakely grew up in Bastrop, La with two sisters and one brother. 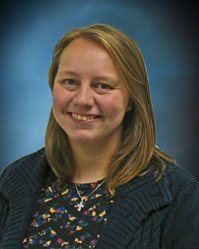 She is an active member of North Monroe Baptist Church where she is involved with the college ministry. She adopted a dog in May 2016 and his name is Grey. She has worked at Seeker Springs Ministry in the summer of 2017 and 2018. When she's not teaching English here, she keeps busy pursuing a Master of Public Administration degree and playing with Grey. She says, "God intentionally brought me to NBS to combine my two passions, literature and Jesus. I know God will be evident in our conversations, books, and everything in between. I am honored with the opportunity to grow in my walk with Christ as I teach and lead every student that comes into my room."